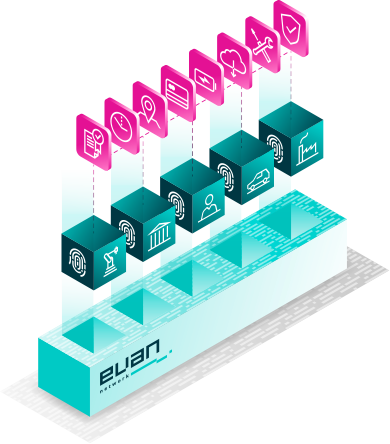 Just as social networks connect you with your friends, evan.network connects all sorts of things and enables secure transactions between them. The bases for this are verified digital identities, wich allow secure transactions not only among things but also with organizations and people. In contrast to the social networks in your private life, the social network of things builds on a decentralized public consortium blockchain. This means no gatekeepers and no loss of data sovereignty. On the evan.network organizations, people and things are quickly and easily equipped with verified digital identities. 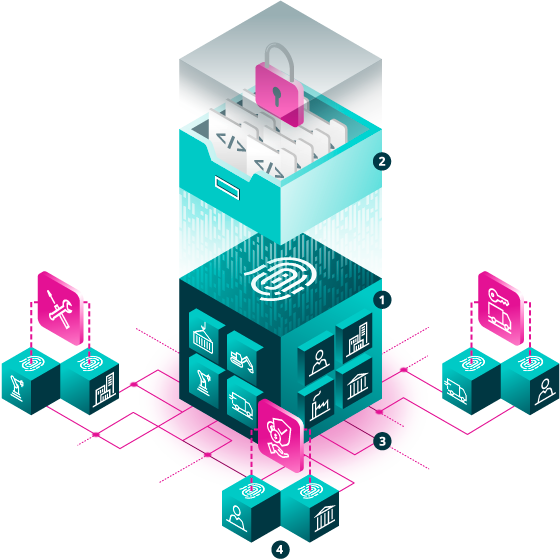 In the digital identity, all important transaction information as well as the entire transaction history are stored encrypted and temper-proof. Digital identities enable secure and trusting digital transactions between things, people and organizations. The digital identities can be used in a variety of different use cases such as Smart Maintenance, Rental and Sharing or Finance and Insurance. Digital identities alone does not make a network. What is also needed is a neutral operating platform on which transactions between things, organizations and people can be securely and trustfully processed. This is the evan.network. 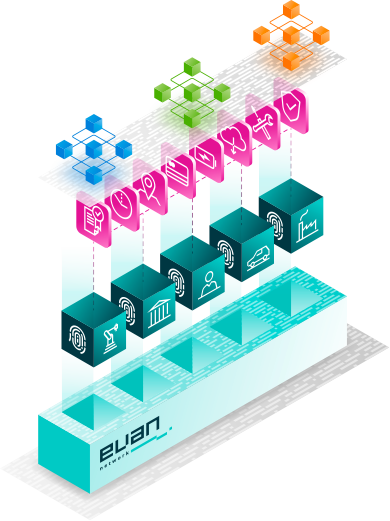 The evan.network is the neutral operating system for all kind of transactions between digital identities. Build as an Blockchain, it is open for everyone and combines the advantages of public chains with those of private chains. The digital identities are stored in the neutral operating system and are the basis for a wide range of use cases. The digital identities always belong to the owner of the asset and thus secure data sovereignty. In connection with digital identities, the development of a wide variety of applications results in exciting possibilities for use cases in a multitude of different industries. On evan.network, everyone can build decentralized apllications in a rapid manner. By the common usage of digital identities and applications, numerous industry-specific or even comprehensive business networks arise. In these networks, digital transactions can be exchanged securely and trustfully without losing your own data sovereignty. Authority Nodes operate and control the network and make it completely independent from one single company trough an unique open governance model. costs The networks own Token is sold by the network itself for a fixed price. The supply is not limited and the Token is not traded at marketplaces. That‘s why a transaction cost stability can be ensured. Due to the proof of authority consensus algorithm and the foundationalarchitecture, evan.network is able to provide a high transaction throughput. 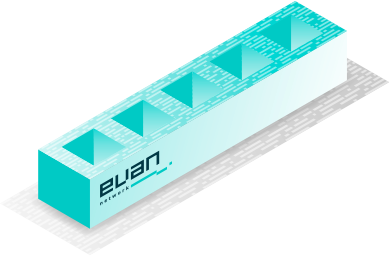 Subscribe to the evan.network newsletter and don’t miss any news. 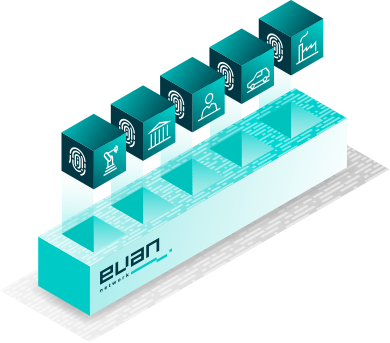 Digital identities on the evan network give a voice to all kinds of industrial machines and assets. The goal is to enable them to independently execute transactions and manage processes. 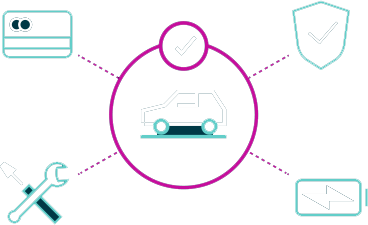 With a verified digital identity, a car can function as a fully-fledged transaction partner. It can rent itself out, hire service technicians or share usage information with insurance partners. Using digital identities, suppliers in complex supply chains can digitally exchange delivery data and certificates without even knowing each other. In addition, delivery processes can be tracked continuously and the process progress can be stored in a manipulation-proof manner. Get in contact with the evan.network masterminds.